Currently viewing the category: "Gadgets"
As with any new tablet in 2012 it must contend with the reigning champion, the 3rd Generation iPad . Surface by Microsoft looks like a decent contender. What must be judged is the implementation of Windows 8 with this new sleek hardware. Using a Surface looks like it may just live up to the announcement conference that Microsoft has just finished. As for memory the Surface for Windows RT will include 32GB and 64GB models which will be priced comparable to ARM based tablets. 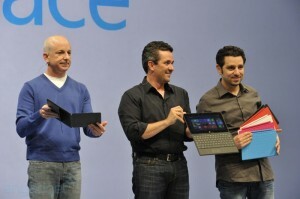 Then another PRO version will have 64GB and 128GB models and will be priced in the Ultrabook PC class. I think the big surprise is the touch cover keyboard that very much one-ups Apple’s Smart Cover . The 16th Annual Webby Awards brought in the big guns to provide a final Steve Jobs Tribute with Richard Dreyfuss (original The Crazy Ones narrator; Steve Jobs also read for the video but it didn’t officially air), Justin Long, and John Hodgman (both of the I’m a Mac, I’m a PC commercials) the two J’s hint at Apple never airing any commercials but theirs (1984). 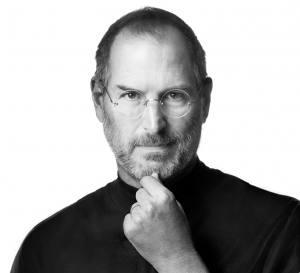 But these guys are just the individuals introducing the tribute video made for Steve Jobs. There are some heavy hitters in the montage video including the President of the United States of America (POTUS), a former POTUS, a former Vice POTUS, numerous other great characters and even Bono! The shipping material was minimal and correctly thought out. Only requiring a small USPS package envelope which was a wise economic and environmental choice. The rest of the initial packaging was decent. Excellent advertising graphics demonstrating the use and intent of the Quad Lock Wall Mount Kit. 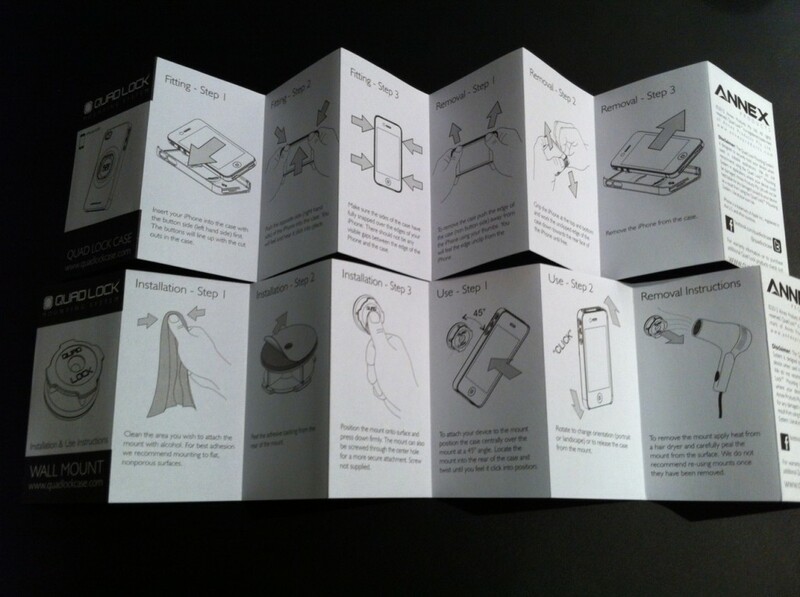 The Quad Lock iPhone Case and its mounts fit nicely in the packaging while keeping the overall package quite small and compact. 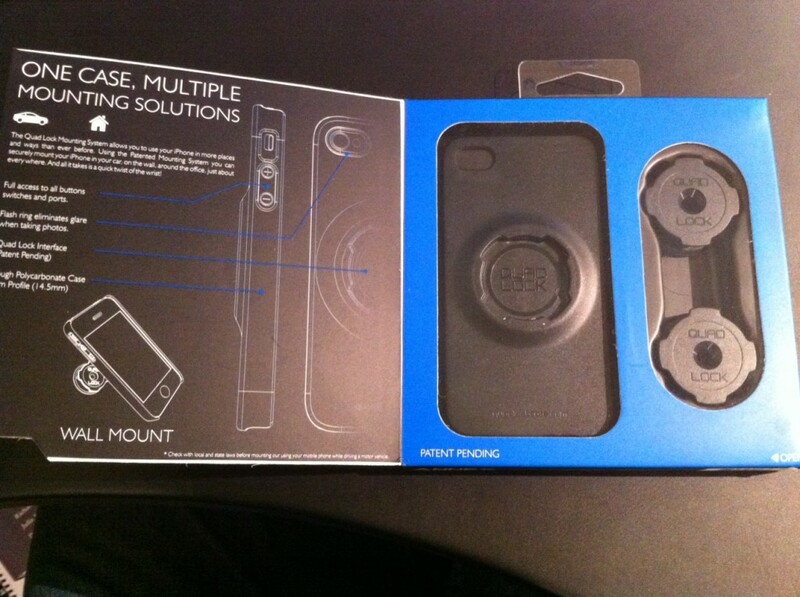 This is the mount that is on the actual iPhone case. To mount you overlap the two sections, twist and it securely snap locks together. 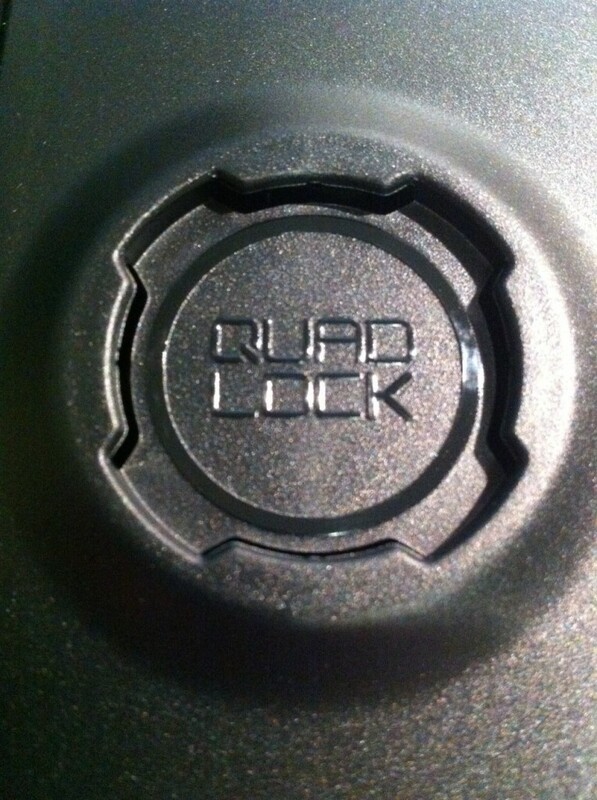 The inside back of the Quad Lock iPhone Case. You can see the nice clean tapers and quality mold they use. The only thing I noticed after recording the video is what I believe to be a slight defect. If you look at the bottom left corner of the image below you’ll see a bit of wrinkling of the case on the corner. I believe this is where they pried up my Quad Lock (possibly before it had fully solidified) and slightly damaged it thus creating a slight wrinkle as well as an indentation (see the difference between the two bottom corners). Update (21 May 2012) – the day after I posted this thread Chris from Annex Products emailed me directly after noticing the defect on the case in the images and video. Without hesitation they are sending me a replacement due to the manufacturing defect. I’m quite impressed with the team from Annex and look forward to receiving the replacement and checking out other great products from them in the future. 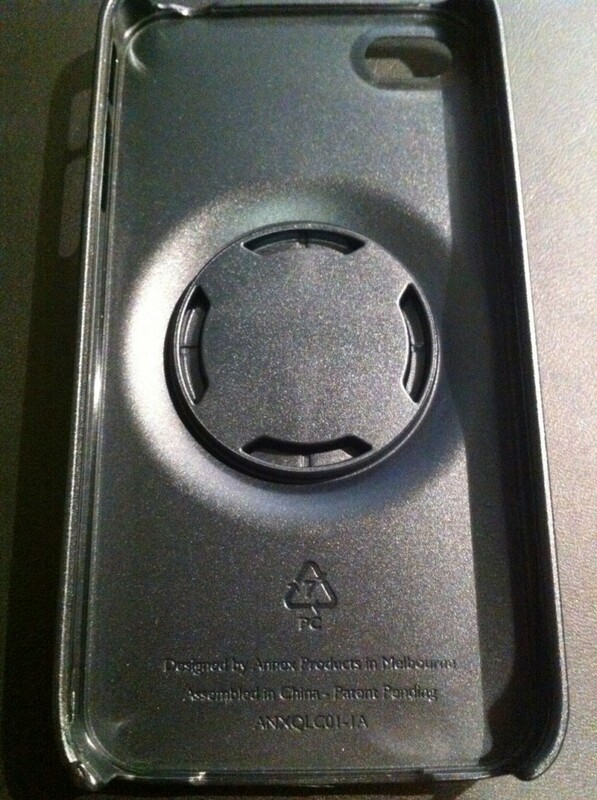 Below is one of the two wall or flat surface mounts that is included in the Quad Lock iPhone 4/4S Wall Kit. 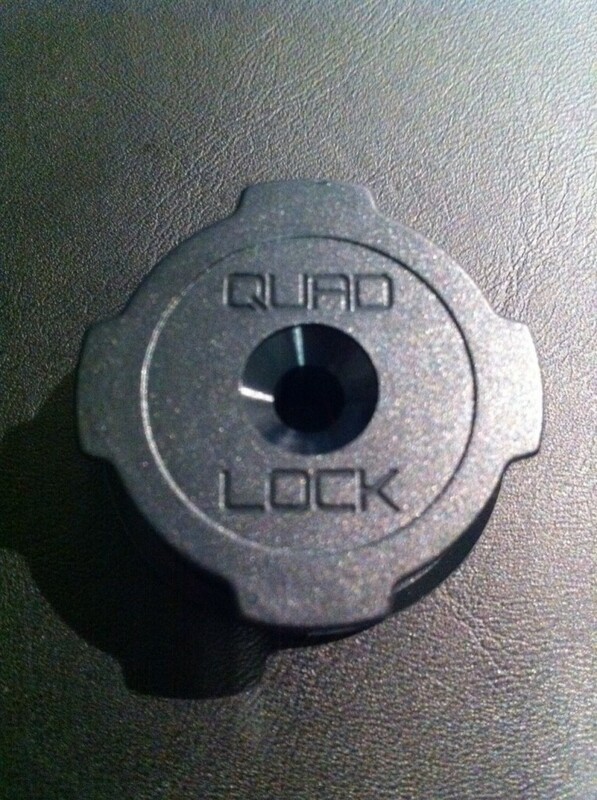 Image of the Quad Lock Wall Kit Mount Adhesive. 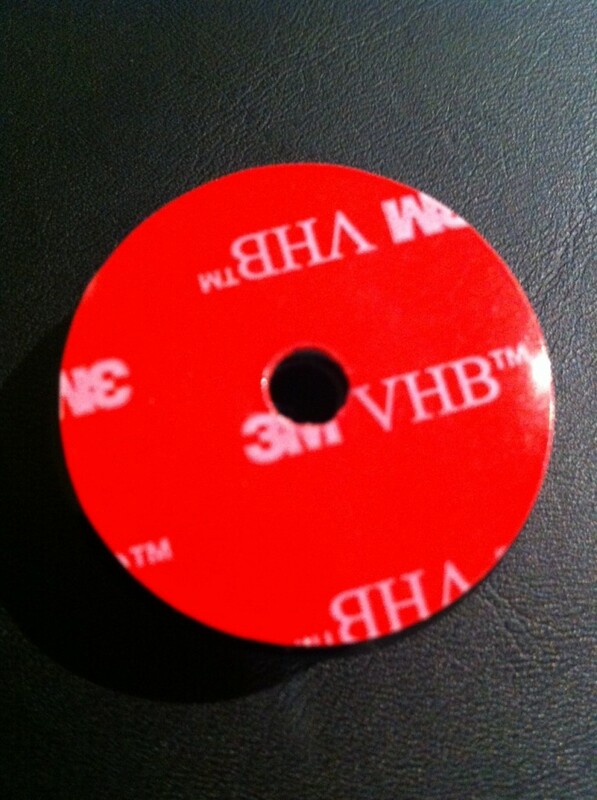 Looks to be quite a robust and strong product from 3M. As you can see the two instruction sheets are the same size and length. Both of them have nothing on the back as I simply flipped one over to show that they could have eliminated 50% of their instructional paper costs by simply implementing double sided printing. 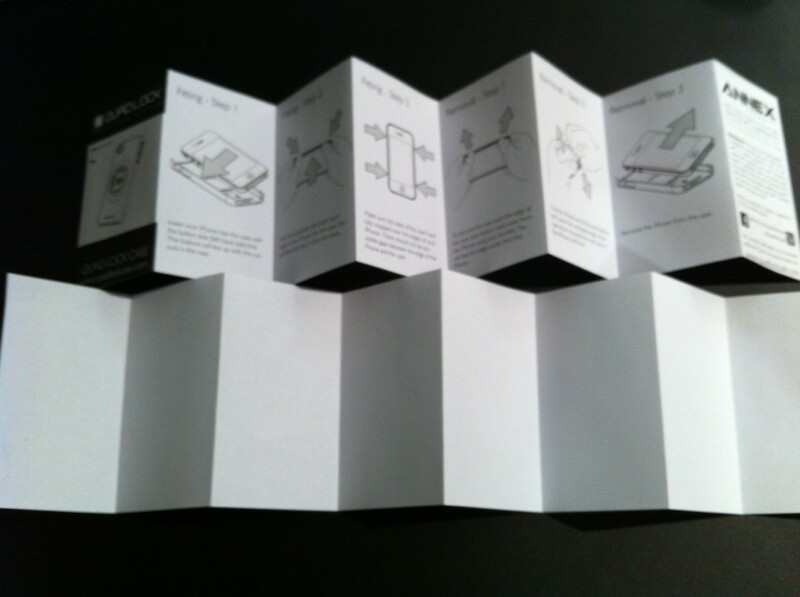 If you printed this material for the case and the mount you’d simply include this single piece of paper in individual sales of both products. Eliminating one variable in your instructions pipeline. Hopefully they’ll include this in the next batches which should help them cut down on recurring costs a bit. 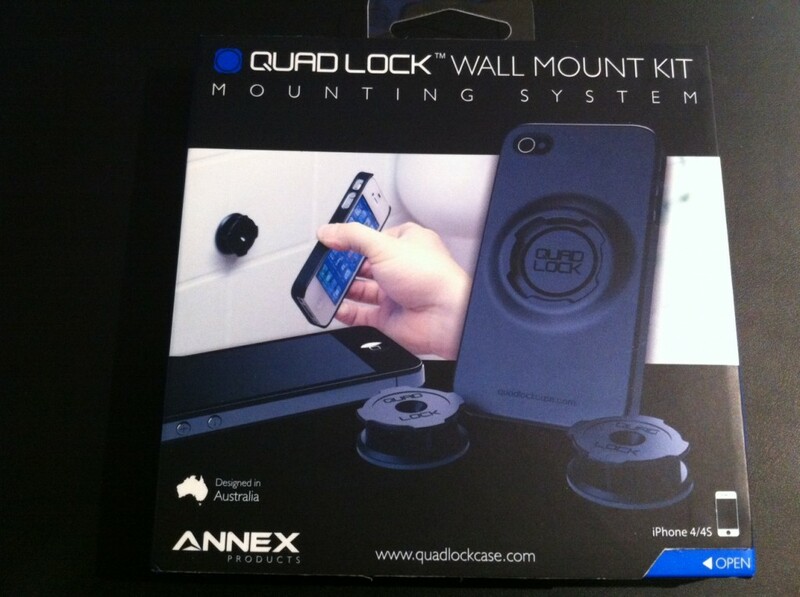 All in all the Quad Lock iPhone 4/4S Wall Mount Kit gets a good review from me. I like the way the case feels. It has an excellent texture and is replacing the free Incase iPhone case (which has slowly deteriorated) that I received from Apple after Antennagate. The case also has just enough heft to make if feel like it has that “quality feel” to it (one of the differences most people notice between cheap junk and quality items). Now to go find where I’m sticking the Mounts!